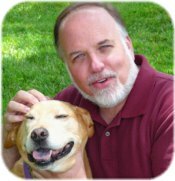 Pleasanton Therapist: Neal Winblad - Therapist 94588. Send A Message To Neal. I specialize in working with people who want to get more intimacy out of their relationships. Quite often this is done by working with couples. More times than not, it is actually better to work with one or both of the individuals in the relationship. We come to relationships as individuals with our wounds, beliefs, and expectations. To heal intimacy wounds takes working deeply, being willing to examine and share your very soul. This can only be done in an atmosphere of extreme safety, respect, and sensitivity…characteristics that are usually the first to go in troubled relationships. So I work both as a healer of wounds, and doing a kind of shuttle diplomacy between individuals to de-escalate conflicts, and then to support and nourish goodwill, love, and communication. Why should you consider working with me?